Friends of the Wisconsin Wolf and Wildlife is a grassroots organization which was started in 2011, and officially became recognized as a 501(c) (3) in 2012. We formed in response to the wolf hunt and expansion of hunting and trapping in state parks in Wisconsin and have been active in participating in wolf and wildlife reform, inspiring mainstream hunters, non-extractive users, scientists, tribal members and the general public to become involved with wildlife through advocacy and education. Adrian earned his B.A. in 1990 in Biology and Anthropology from Rice University and his PhD in 1997 in Behavioral Ecology and Biological Anthropology from Harvard University. In 2007, he founded the Carnivore Coexistence Lab at the Nelson Institute for Environmental Studies, University of Wisconsin-Madison. Adrian’s research focuses on how to balance human needs with wildlife conservation. To study this question, he explores people’s conflicts with large carnivores, particularly livestock predation in the USA and abroad. This line of inquiry includes livestock husbandry, wildlife management, human and carnivore behavior, and methods for mitigating human-carnivore conflicts. Adrian and his students conduct fieldwork in Wisconsin (wolves and other large carnivores) with a variety of collaborators. 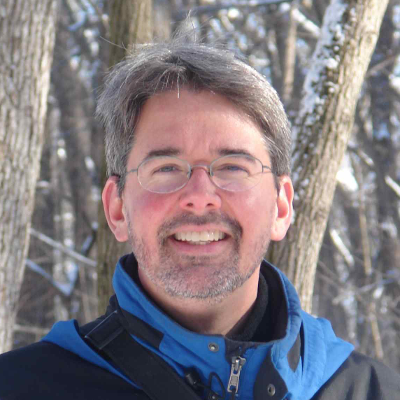 Click here for links to his recent research articles on carnivores, compensation, hunting, mitigating human-wildlife conflicts, and co-management. 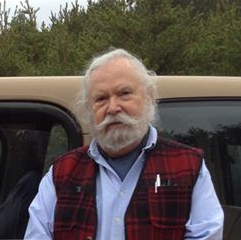 John M. Stewart, Emeritus Professor of Psychobiology and Director, Northland College Wolf Research Team. Formerly at Georgetown University, Johns Hopkins University, the National Institutes of Health, and The Jackson Laboratory, Jack is a semi-retired biobehavioral scientist with over fifty years of experience studying canid species, particularly domesticated dogs and wolves in the wild. Heather is currently the Wildlife Resources Program Director for the Forest County Potawatomi Community near Crandon, Wisconsin. Through this position, Heather has designed and implemented an intensive biodiversity assessment on tribal lands, including geospatial hotspot analysis; assisted the State with writing the new Beaver Management Plan; spent time on the original Wolf Roundtable; and is currently initiating bat research through a joint endeavor with the US Forest Service. 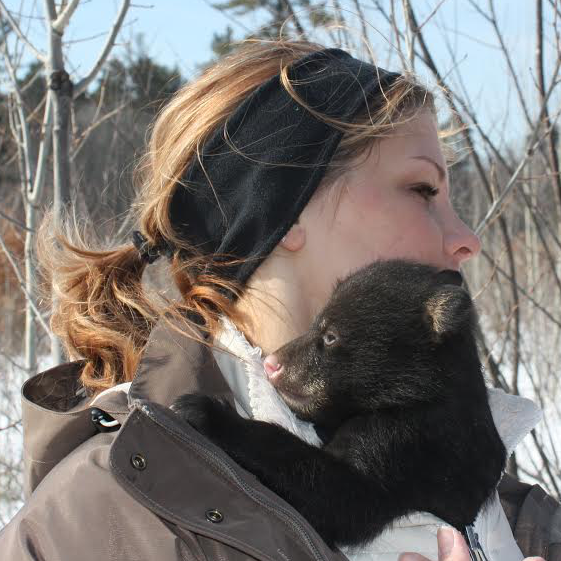 Heather received a Master’s Degree in Conservation Biology from Central Michigan University where her research focused on wolf recolonization of the northern Lower Peninsula and GIS modeling of den habitat and travel corridors throughout the Upper and Lower Peninsulas. Heather received her Bachelor’s Degree in Animal Ecology from Iowa State University and has spent much of her career working with predators, including work on a bobcat project in Iowa, the lynx reintroduction project in Colorado, and the ongoing predator-prey research still underway in Michigan’s Upper Peninsula. Heather is also the Chair-Elect for the Native Peoples Wildlife Management Working Group of The Wildlife Society. Kerry has been involved in pathology and diagnostic animal health investigations for over 35 years. From 1991 to 2004, she was the Wisconsin Department of Natural Resources Wildlife Health Specialist, responsible for investigating and evaluating diseases of Wisconsin wildlife. She planned and implemented health surveillance studies, conducted necropsies, collected biological samples, performed diagnostic assays to identify pathogens, and interpreted these assay results. Kerry maintained a diagnostic lab, lab records and reference collections of serum, parasites, tissue samples and detailed records. She reported results via comprehensive summaries/individual reports, and developed training programs and materials. Kerry also collaborated, cooperated and communicated with other agencies and participated in their lab projects. Dane County Parks, Naturalist and Habitat Restoration Technician (2010 to present) Responsible for organizing and leading interpretative outdoor education sessions for all age groups at various Parks throughout the year. With a team of Park staff and other volunteers, plan, direct and plant native plant species for habitat restoration. Gather, organize, and direct volunteers for the plantings. Participate in general habitat restoration activities. Audubon Christmas Bird Count Local Volunteer Coordinator (2009 to present) Recruit and organize volunteers of various backgrounds and ability levels for a 1 day birding event. Assign specific areas for coverage, problem solve for rapidly changing situations, gather, coordinate, and submit final data to national database. Friends of the Wisconsin Wolf and Wildlife Scientific Advisory Board, volunteer since April 2017. Internal Communications/Transparency – Foster and safeguard a culture of open communications and transparency in all facets of FOTWW. Outreach/Education – FOTWW actively engages diverse audiences through broadened outreach opportunities. Create a task group of diverse individuals to develop targeted outreach. Financial Sustainability – Build an endowment to meet current obligations, along with projected needs and opportunities. 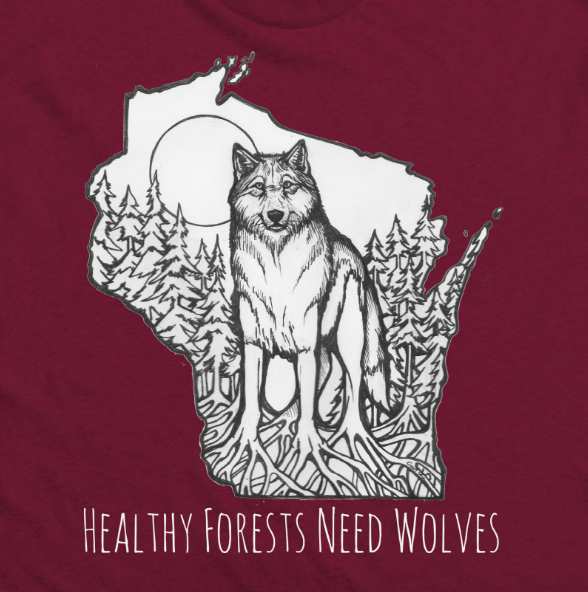 Advocacy – The FOTWW board and volunteers are actively engaged at all levels of government and community forums in advocating for wolves and wildlife in Wisconsin. Media – Keep FOTWW in the news through various tactics, including letters to the editor, protests, campaigns, radio/tv, press releases, ETC. Available upon request. We firmly believe in the Donor’s Bill of Rights.